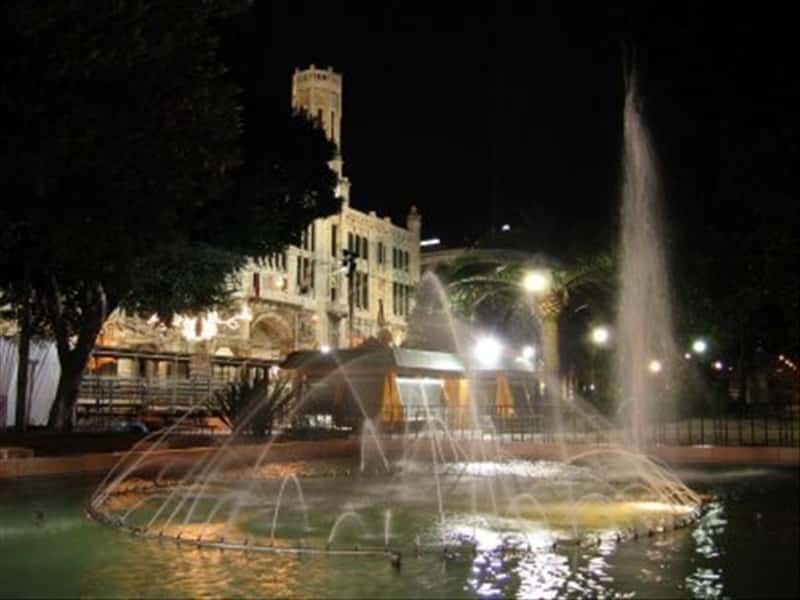 Cagliari is the most important city of the Sardinian Region and it is located on the Southern edge of the Campidano plain, at the centre of its own bay with large marsh areas to the East and to the West. The city extends along the coastline and over nine limestone hills, some with valuable natural landscapes such as Mount Urpinu, the hill of San Michele with its medieval castle and the promontory of Capo Sant'Elia. The city was founded between the VII and VI century b.C. by the Phoenicians. 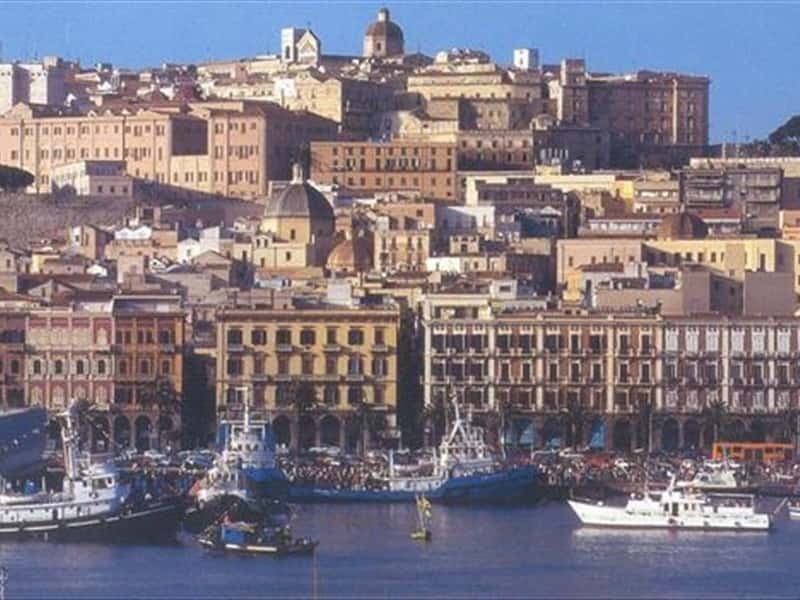 Since then Cagliari has been the access door of Sardinia over the centuries, for all the people willing to build their authority centers, such as: the Phoenicians, the Romans, the Vandals, the Byzantines and the armies of Pisa, Aragona and Piedmont. In the urban city centre it is possible to admire signs of all the historic periods: the Phoenician-Punic necropolis of the hill of Tuvixeddu, the Roman amphitheatre built in the limestone, the Pisa style Cathedral, the Royal Palace, which hosted for a shot while the Court of Sabaudia. The Cathedral of Cagliari, entitled to Santa Maria Assunta was built in the Palace Square, by the community from Pisa in the XIII century and finally completed in 1258. The bell tower is the only building that preserves a Romanesque style. Of the same period is the Pulpit of Guglielmo (sculptured between 1159 and 1162) which was a donation from the Cathedral of Pisa and reassembled between 1310-1312, whilst it was taken to pieces in the second half of '600 in the occasion of the Baroque refurbishments of the Cathedral of Cagliari. Inside there are two Gothic Chapels: on the left hand side of the altar the Pisa one, whilst on the right hand side the Aragon one, built after 1326, when the Catalan and Aragon armies conquered the island. The Crypt, built in the XVII century, entitled to the religious relics of Saints and Sardinian Martyrs, hosts the Neoclassic tombs of the Queen of France "Maria Luisa di Savoia" and of the young Prince "Carlo Emanuele di Savoia"; an important Baroque altar in multi colour marble; the monumental tombs of archbishops and governors; the Mausoleum of Martino il Giovane, King of Sicily. Other exhibits such as pieces of an altar of '600 and important silver sacred ornaments are preserved in the nearby Museum of the Diocesi. The Royal Palace was the residence of the king's ambassadors during the different dominations over the centuries (Aragon, Spanish and Piedmont); it was built in '300 and became seat of the government in 1337 on request of Pietro IV d'Aragona. It also hosted the Court of Sabaudia dring their exile between 1799 and 1814. At the end of '800, when it became the seat of the Provincial Council, it was decorated by the artist of Perugia, Domenico Bruschi, with themes of the Sardinian history and scenes of classic Mythology. The Bastion of Saint Remy was built at the end of the XIX century by the Piedmont army and it is one of the most important fortresses of the whole island. At the entrance a large scenographic staircase that opens into two ramps, a central square that connects to a series of terraces and a covered walk which overlooks Viale Regina Elena. Not to miss in order to visit and admire important architectonic masterpieces: the archeological complex of Sant'Eulalia nella Marina; the Baroque Church of San Michel a Stampace, the Gothic-Catalan Church of San Giacomo a Villanova, the Sanctuary of Nostra Signora di Bonaria, the Castle of San Michele and the Civic Palace, a modern complex in a copied Gothic-Catalan style with Liberty style elements. This town web page has been visited 55,690 times.